Andrew Vaillencourt has created what I would call "Military Sci-Fi" series with "The Fixer". 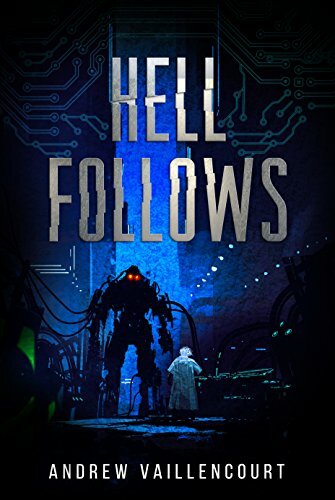 The main character is a former military cyborg named "Roland" who after being "discharchged" from military service finds himself in the seeder parts of Boston where he tires to atone for his perceived sins. He is known as "Tank", standing at 7 Feet and almost 900 pounds. 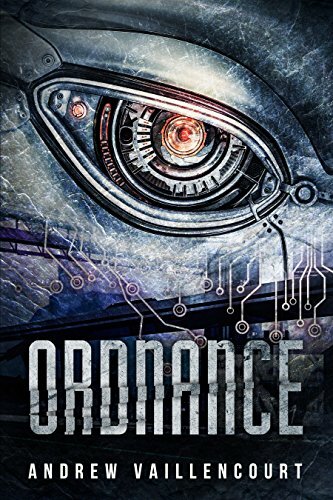 In "Ordnance" we are being introduced to Tank by Lucia, the daughter of one of the scientists who more than 30 years ago created him and also ended up saving him. Because one of the things the military did was install an "override", when orders came that where a violation of laws or ethically questionable he and his team mate had no choice. The military overrode his free will and had an AI cause the carnage, something that causes him grief to this day, as he was along for the ride and didn't "come back" until he woke up on a pile of dead bodies. The world he now lives in is one of thieves and criminals, and with Lucia's father being kidnapped by another one of his creators he is now given the chance to not only pay back his saviour by helping his daughter, but also to exact some revenge along the way. The world that Vaillencourt builds in the first book is entertaining. It's a mixture of a Noir crime novel with some rather violent action segments. In some ways he reminds of Richard K. Morgan's writing style in the Takeshi Kovac series, though I would have to say it's much less "brainy" than the Kovac series. What it is though is entertaining, in a Michael Bay action movie kinda way. "Hell Follows" picks up where "Ordnance" has left off. After Roland had his payback and ended up with Lucia as his partner she quickly takes charge "of business". The first order is that Roland injects himself more into the criminal machinations within Boston's Underworld, only to find himself at the centre of what appears to be an all out gang war. Or rather, someone from the outside seems to be interested in taking over from "The Chairman". What follows is a trip out of Earth and an involvement with some intergalactic shady organizations and of course, intrigue and piracy. 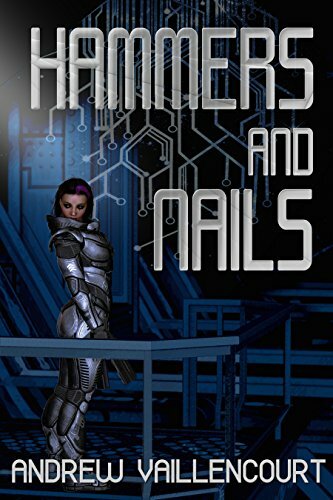 The second book is a slight departure from the first one in as far as it leans more heavily on the "SciFi" aspect. We get a better insight into how business and people work in this universe, from harsh mining planets, to "neutral star systems" where all kinds of savoury and unsavoury characters interact. Of course, much like the first book, what Roland does has far reaching consequences to his own community back home. Much like the first book it's a fun, fast Michael Bay'esque read. Within the universe timeline we're now six months down from where the first book started and things haven't really slowed down. Now someone seems to try to take Tank out, but without really trying too hard, so what's going on? Turns out, old grudges are still trying to get settled and the new power balance in Boston is far from settled down either. To that end, we get another fast paced and violent book with a good sense of humour. I would say it is a worthy continuation of the first two and I did find enjoyment in it. The right thing for a lazy afternoon where you just want to not think too much. So is the series worth a read? If you enjoy MilSciFi and "pop corn" flicks then this is a fun read. There are no deep themes, or even overly deep characters, though on the flip side none of the characters is a paper cutout either. They're interesting and do have personality. So maybe my comparison to Michael Bay is a bit unfair. It's definitely more entertaining and less stupid, but it's also not Tolstoy or Clark.